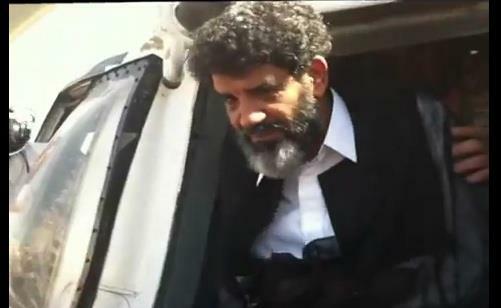 Abdullah al-Senussi upon his arrival in Tripoli after being extradited from Mauritania in September, 2012. As I write this, admissibility hearings at the International Criminal Court (ICC) are ongoing. The hearings will play a major role in whether or not ICC judges ultimately accept Libya’s plans to try Abdullah al-Senussi, Gaddafi’s former spy chief and henchman, and Saif al-Islam Gaddafi, the country’s galavanting former heir apparent, in Libya by Libyan judges. Nevertheless, as most observers familiar with the case freely acknowledge, the hearings aren’t likely to have any bearing on where Saif and Senussi are tried. Without any political backing from the international community, the ICC isn’t exactly in a position to force Libya to surrender either of their prized prisoners to The Hague. In short, there should be no confusion: Saif and Senussi will be tried in Libya. But what if the ICC could convince the Libyan government that it was in its political interests to surrender Senussi after first putting him on trial in Libya? I think there is a way that the Court can do so – but it requires some political, rather than legal, manoeuvring. Libya and its citizens desperately want the information locked away in the dark corners of Abdullah al-Senussi’s memory. 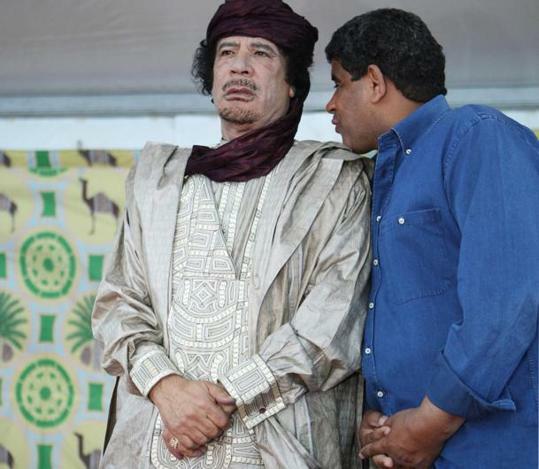 There is, quite simply, no one with a better understanding – or greater involvement – in the political machinations and violations committed by the Gaddafi regime against Libyans. It is for this reason that he has been called the country’s “black box” and the “crown jewel” of justice in Libya. It is also for this reason that Libya was willing to pay $200 million just to secure Senuss’s extradition from Mauritania. His mind is a repository of truths about what happened in the Abu Salim prison massacre, the Lockerbie bombing, the attack on UTA Flight 772, the torture and execution of countless Libyan citizens, and Libya’s sponsorship of violence and oppression at home and abroad. So how can Libya get Senussi to confess his secrets? The problem is that Libya has no carrots to offer Senussi for being forthcoming. Indeed, Senussi – like the rest of the world – surely knows that he is unlikely to get a fair trial and is virtually guaranteed an eventual death sentence. If, as it has been rumoured, Senussi is being tortured, that too is unlikely to yield much in terms of truths. Libya likely does not believe it can promise him any less of a sentence. Senussi is, after all, the most wanted man in Libya. So what can Libya do? First of all, it can leverage people that Senussi cares about against him. Senussi’s daughter was arrested this week in Tripoli for allegedly entering Libya illegally. Sadly, it would come as little surprise if her subsequent treatment is being used against Senussi divulging information about Gaddafi-era secrets. My suggestion, however, is to return to the possibility of sequencing trials in Libya and The Hague. It would go something like this: Libya and the would ICC agree, in principle, that the trial of Senussi would be sequenced. First Senussi would be tried and sentenced in Libya but, rather than carrying out the sentence, he would be tried in The Hague. Libyan authorities would then offer this as an incentive to Senussi in exchange for information about the worst excesses of the Gaddafi regime. It would be tough for Senussi not to accept. It’s either The Hague (a relatively cushy place to spend a few years) or death. Critically, in this scenario, the interests of all parties would be largely satisfied. Libya would get the information it wanted from Senussi and would demonstrate to its citizenry that it was able and willing to prosecute Senussi. Libya would also demonstrate to the world that it took its international legal obligations seriously. Notably, Libya’s representative to the ICC, Ahmed al-Jehani declared today that “we haven’t excluded ICC involvement”. Meanwhile, the ICC would be able to prosecute Senussi for his role in the 17 February uprising in The Hague and thus would not be left empty handed after expending vast amounts of time, energy and money on Libya. Such a solution could also help Libya and the ICC mend their battered relations. As for Senussi, he would be saved from a guaranteed death and would be able to have visits from his family in The Hague. Of course, it goes without saying that the potential success of such a proposal would be dramatically enhanced with clear and concerted support from the international community. Undoubtedly, some will claim that this proposal is simply naive. The trust between Libya and the ICC, not to mention Senussi and Libyan authorities, isn’t exactly high. But here’s the thing: isn’t it worth trying anyways? The absolute worst case scenario is no worse than the situation right now where Libya’s reputation is tarnished and the ICC looks impotent. A little creativity can go a long way. At the very least, it could make a terrible predicament a little less bad by demonstrating an interest in the parties to establish common ground in the pursuit of post-Gaddafi justice. As they say in negotiations theory, this isn’t a new way to divide the pie; it’s making the pie bigger. This entry was posted in Admissibility, International Criminal Court (ICC), International Law, Justice, Libya, Libya and the ICC and tagged Abdullah al-Senussi. Bookmark the permalink. Your suggestion would only be legal if Senussi is prosecuted in Libya only for all alleged crimes not related to the uprising and then prosecuted at the ICC for crimes committed during the uprising. Otherwise, the ICC proceedings would infringe the ne bis in idem principle enshrined in article 20(3) of the Rome Statute, which is a basic principle of human rights law and criminal law- that a person is not prosecuted for the same conduct by different jurisdictions. Thanks for the comment, Ula. You are, of course, absolutely correct. A deal or understanding would need to be struck whereby the ICC and Libya did not prosecute Senussi for the same alleged crimes. I don’t think that this would be a major issue, however, as Libyans appear more interested in prosecuting Senussi for crimes committed prior to the 17 February Revolution (namely the 1996 Abu Salim Massacre) and thus outside the jurisdiction of the ICC.